This is definitely one of the best ramen shop I've been so far! Recommended by many other foodies and ramen experts, 嶋崎 順一 Junichi Shimazaki's ramen has been ranked as one of the best ramen in Tokyo or as one of the "Tokyo Ramen Gods". Made purely by one of the best species of chicken in Japan, (Akita's Hinai chicken) the chicken broth is clear and very delicious!! On top of that, chicken fat to make this bowl of ramen more addicting. The chicken breast pieces have great texture and tender. The bamboo shoot is actually crunchy (the veggie type of crunchy/crispy) and well prepared without any unwanted odor or taste. The ramen itself is thin and bouncy. It matches with the clear chicken broth perfectly. I highly recommend all three ramen: shio, shoyu, and tsukemen. (They are all ranked #1 in 2012-2013 Ramen Reward in Japan) Of course, if you want me to really pick one, Shio ramen is the one that you can truly taste the pure Hinai chicken's flavor without any other add-on flavors. It's actually my favorite out of the three. Ramen Shop frontal - take the left stairs up to Shimazaki-san's shop! Locating at an unfamiliar residential neighborhood of Amagasaki-shi in Hyogo Perfecture, the ramen shop "Rock'n & Billy Super 1" stands out from the others with Shimazaki-san's large signage and bright lighting. Shimazaki-san actually first learn how to make ramen at the age of 16. He practiced at home and opened his "69’N’ ROLL ONE" ramen shop in 2005 at his home town Machida in western Toyko. Not only his tasty Akita chicken ramen is famous, his punch-perm hairstyle, Rocking fashion, and the way he strain his ramen noodle are very memorable. 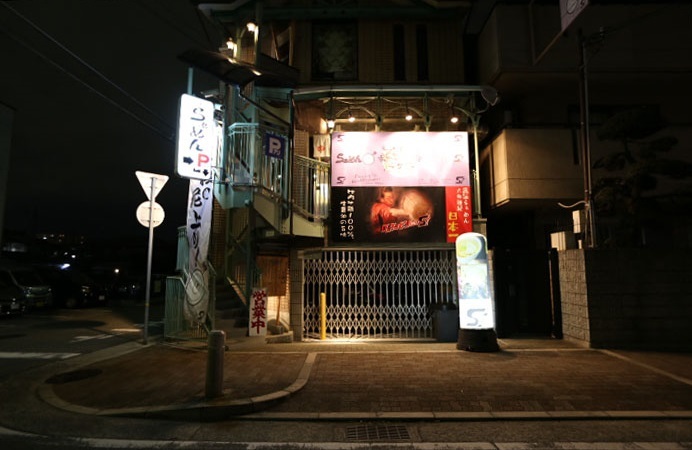 Since opening his ramen shop, he received many rewards from his Tsukemen, Shio, and Shoyu ramen rewards over the years. However, in April 2014 his Tokyo "69’N’ ROLL ONE" ramen shops was permanently closed. he secretly moved to Kansai region and opened his new shop in a small town of Amagasaki in the Hyogo Perfecture after a few months. The new shop is now called ロックンビリーS1, "Rock'n & Billy Super 1" in English. From what I heard about Shimazaki-san's Tokyo ramen shop, it used to be a "quiet ramen shop," which doesn't mean there's no one there. There's actually very popular ramen spot, but people have to be quiet and well-behaved. Watch this video, and you will know what I mean. As mentioned before, the broth is based on Hinai chicken. You might ask, what's so special about Hinai chicken? Hinai chicken 比内鶏 (grown in the town of Hinai, Akita perfecture 秋田県 in Japan) is known as one of the three most remarkable chicken species in Japan (the other two are Satsuma chicken 薩摩地鶏 and Nagoya Cochin 名古屋コーチン ) They are all known for the excellent meat quality by the species (bred from old poultry), feeding management, and great natural habitat. From that being said, you can imagine how delicious the broth is made with 100% Hinai chicken. For Shio ramen, the broth is very pure and clear. It is the one of the best chicken soup I've ever had. It is flavorful and I can taste the sweetness of the chicken. The chicken fat is another essential ingredient that makes this broth addicting. It doesn't feel oily or too filling from drinking the broth by itself. The aroma of the chicken fat makes it heavenly great, especially when slurping with the thin ramen noodles! Chef also added yuzu lemon zest with the toppings as well along the side of the bowl. It definitely adds freshness to the pure Shio ramen. Using the same Hinai chicken broth-base, Shoyu ramen is flavored with only a few drops of soy sauce. It is one of the lightest shoyu ramen, but very delicious from the chicken broth! 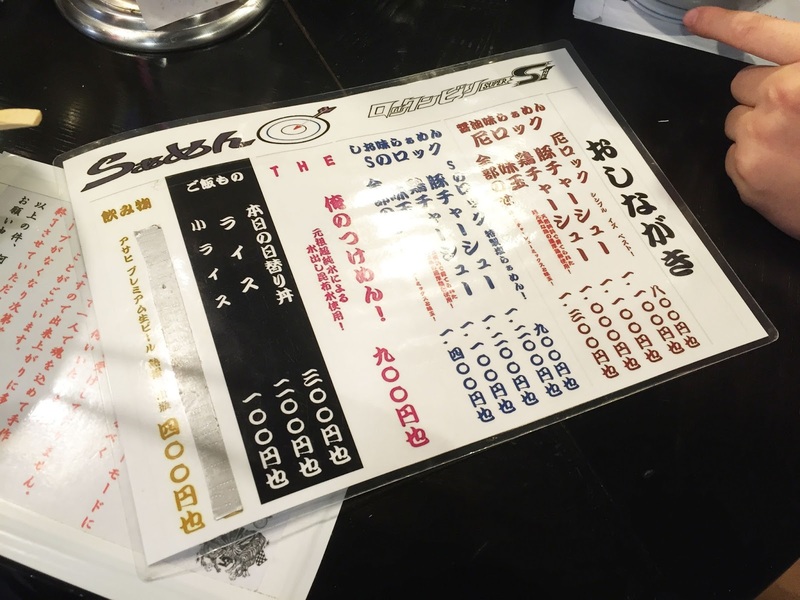 Below, it explains how to enjoy the delicious tsukemen in 5 steps! It is very interesting to try out his tsukemen! Although I already had one bowl of Shio ramen, it didn't stop me from ordering his famous tsukemen, which have 5 steps/ways to enjoy. 1. TASTE THE COLD KOMBU BROTH & ENJOY THE SOME RAMEN WITH IT - The ramen is already washed with cold water after cooked, it is then served with cold kombu broth (pure broth with no sugar or salt added) along with toppings like chicken breast, menma, lemon, wasabi, and cilantro. 2. ENJOY THE RAMEN WITH THE HOT BROTH - Shizamaki-san handed me a second bowl, which is the hot broth with scallion topping. Dip the cold ramen into the hot broth and slurp! I was expecting the hot broth to be very salty, but it's just right! The dipping of cold ramen and hot broth makes the ramen just the right temperature to slurp without hesitation. 3. TAKE A SMALL BITE OF THE LEMON TO REFRESH THOSE TASTE IN THE MOUTH - I thought the slice of lemon was an ornament, but it's actually to refresh the taste in your mouth before enjoy the next step. 4. CONDIMENTS ARE PUT IN TO ENJOY THE NOODLE IN DIFFERENT WAYS - there is a small plate of condiments. Putting in different condiment each time to enjoy the broth differently. 5. COMBINE THE TWO BROTH AT THE END - After finishing the noodle, combine the two broths together to taste the fusion! Before I try Shimazaki-san's ramen, I already heard too much great things about it, especially his Shio Ramen. I actually visited his shop with very high expectation in mind, and it turns out nothing disappoints me!! If you are ever around Kyoto or Osaka, don't forget to try his Shio Ramen! Be sure to visit early before his soup runs out. Ask before taking any photo inside the ramen shop. Thank you for posting about this! I love ramen & my husband wants to visit Kyoto soon. I will definitely check this out when we visit. Because I'm reading your blog from the recent to the older I can notice how you are evolving about everything,even when even your pictures are pretty great (I guess you studied photography, the pictures don't look amateur) and you pay very attention to details, there something more elaborated and polished about your writing. Taking back to the article, I'm liked very much, I always got hungry reading your blog no matter if I already ate.